There has been an increasing amount of imprisonments these past few weeks especially concerning Tibetan monks. In this case, Lobsang Jamyang – also known as Lomik - has been imprisoned for seven years, following accusations of “leaking state secrets” and “engaging in separatist activities”. This is due to his writings, which focused on the suppression of freedom of expression and on the 2008 Tibetan uprising, as well as to his participation in a panel discussion on issues affecting Tibetans. Below is an article published by the Tibetan Centre for Human Rights and Democracy. Chinese authorities have sentenced yet another Tibetan writer to prison for seven years and six months after holding him incommunicado for more than a year. Lobsang Jamyang (Pen-name: Lomik), a prolific and courageous writer who is also a monk from the local Kirti Monastery was sentenced on charges of “leaking state secrets” and “engaging in separatist activities” at a closed-door trial held at Lunggu (Ch: Wenchuan) County in Ngaba (Ch: Aba) Tibetan and Qiang Autonomous Prefecture, Sichuan Province. His family members were not informed about the trial and were not provided any details on the exact date of his sentencing. However, today on 9 May, Lobsang Jamyang was allowed to meet with his family for half an hour by the Lunggu County People’s Court that passed the sentence. During the brief meeting, Lobsang Jamyang told his family that the authorities forced upon him the charges of “leaking state secrets” and “engaging in separatist activities” without any evidence. Further, he was accused of committing the so-called crimes between 2009 and 2015. But Lobsang Jamyang refused to accept the charges. 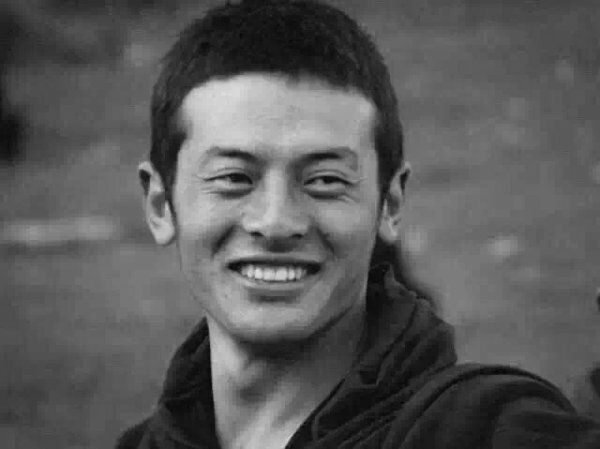 Last year, TCHRD reported the arbitrary detention of Lobsang Jamyang who was picked up from a street in Ngaba County town by police at around 11.30 pm local time on 17 April 2015. Since then, he remained disappeared until his sentencing. In violation of Chinese law, he was held incommunicado for more than a year, and subjected to a series of interrogation, beatings and torture, without any access to due legal process. Even after his sentencing, Chinese authorities have not provided any clear evidence to corroborate the charges leveled against him. Soon after his detention, some 20 Tibetan writers had jointly authored an article on Lomik suggesting that the monk was very likely detained for writing essays about the suppression of freedom of expression, destruction of Tibetan environment, 2008 Tibetan uprising, self-immolation protests and for participating in a panel discussion on issues affecting Tibetans. Lobsang Jamyang, 28, was born in Jotsang nomadic village no. 3 in Meuruma (Ch: Maierma) Township in Ngaba County. Son of parents Jhodor and Zamkar, he became a monk at the age of six at the Kirti Monastery. At the time of hid detention, he was pursuing a Bachelor’s degree in Buddhism at Kirti Monastery. He had also studied traditional Tibetan philosophy and sciences at the famous Larung Gar Buddhist Institute in Serta County in Kardze (Ch: Ganzi) Tibetan Autonomous Prefecture (Sichuan Province) and North West Nationalities University in Lanzhou (Gansu Province). In 2010, Lomik wrote a book called “The Yellow Fog” that was published from Xining. He also contributed articles to popular Tibetan language websites in Tibet such as Chomei, Sangdhor, and Tso Ngon. His more recent articles are titled “Story Shackled By Iron Chains”, “Weapons Target Writers of Ngaba”, and “Until I Die, I Will Express My Views”.